So, you like buying books by people named me, right? 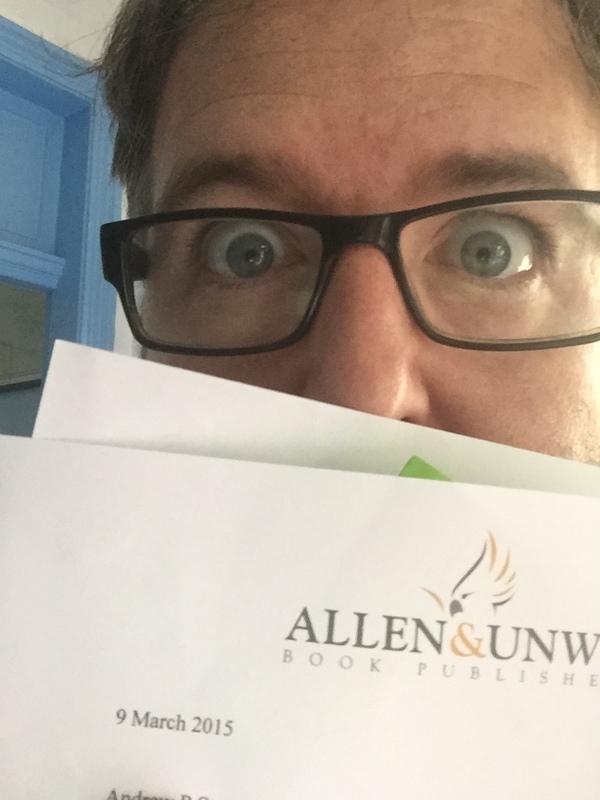 Since I’m now holding the contract in my trembling hands, I can now officially announce that I HAVE A CONTRACT FOR MY FIRST BOOK. Yes, I know: I also think I should have written one by now. I’ll be frantically putting words together to make something for Allen & Unwin to publish later this year, on the happy subject of the Abbott Epoch of Australian governance. And it’s great of the Coalition to give me so much material to choose from too, especially the last couple of months. Look, I’m as surprised as you are. I’m overjoyed, excited as hell, and absolutely terrified. If you are wondering “but APS, what sort of timbre will your book most likely take?”, then here’s the last week or so of View from the Street, lovingly ranted for you at the Sydney Morning Herald and the rest of the Fairfax Digital family. This does mean that I’ll be winding back a lot of my writing for the next little while, aside from VftS, but rest assured I’ll still be word-jockeying with desperate haste. And now, back to frantic note-compiling and Scrivener tutorials. View from the Street: The Intergenerational Report – Live Long and (Don’t) Prosper!